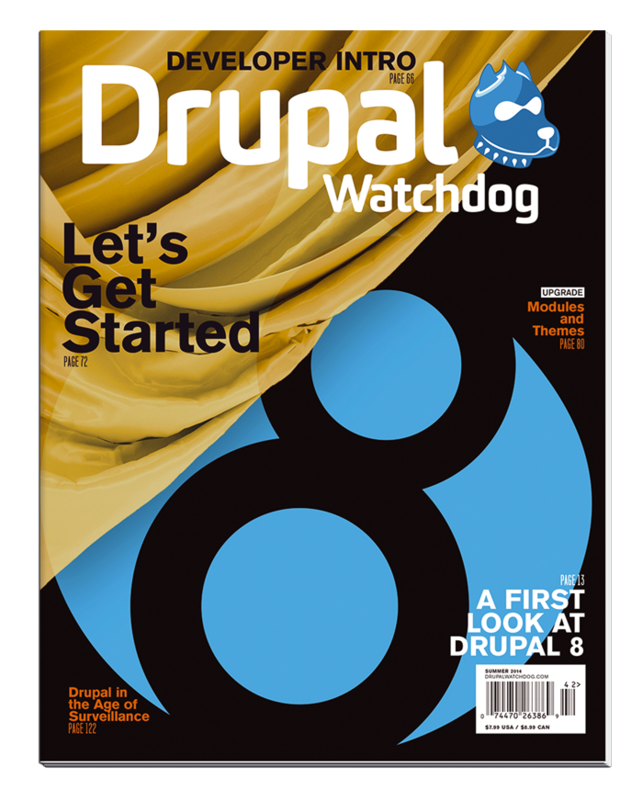 In the rup-up to Drupal 8, Tom Geller examines Drupal's audience and how to broaden it. Maximize your success rate, minimize the rest. Lessons gleaned from the Atlanta snow-jam for those facing the coming of Drupal 8. Give, and ye shall receive. Maybe even more so. Building Drupal 8 performance; a year in the life. Command line configuration in Drupal 8. Tiptoe through the tip types. Good news for Drupal 8 testing. The Hitchhiker's Guide to Drupal 8: "Don't Panic!" Drupal 8 supports over a hundred languages. Très cool! Protecting open source from You Know Who.